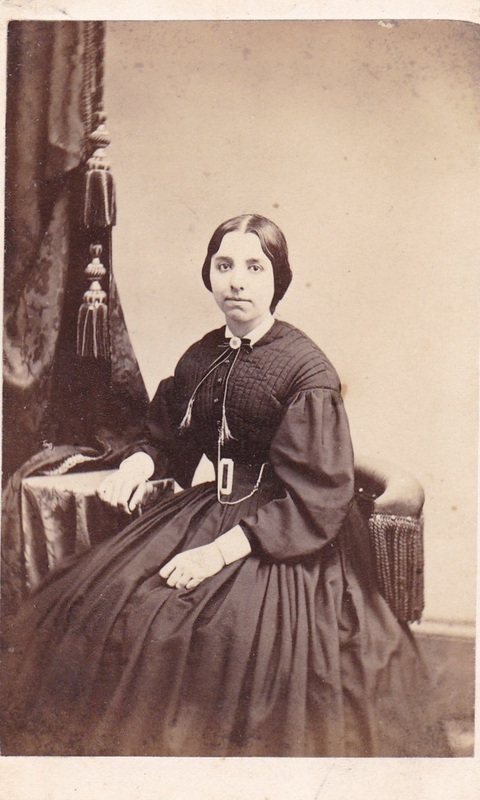 Carte de Visite [CDV] measuring 2.5 x 4 inches. 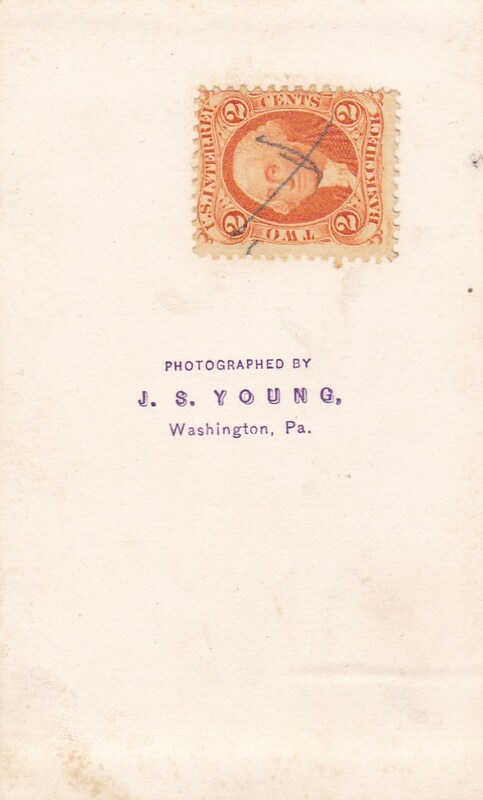 Photographer is J. S. Young of Washington, Pennsylvania. The presence of a revenue stamp on the back narrows the date range to 1864-1866. At first I thought she didn’t look very happy, that she looked rather weary and resigned. But looking at the enlargement, I noticed a quiet glow of pleasure in her face. I also noticed that a lot of work went into the bodice of her dress. By the way, the 2-cent revenue stamp means this photo cost 25 cents or less. Oh, that’s great to hear! Thanks for letting me know. I hope she found it interesting.